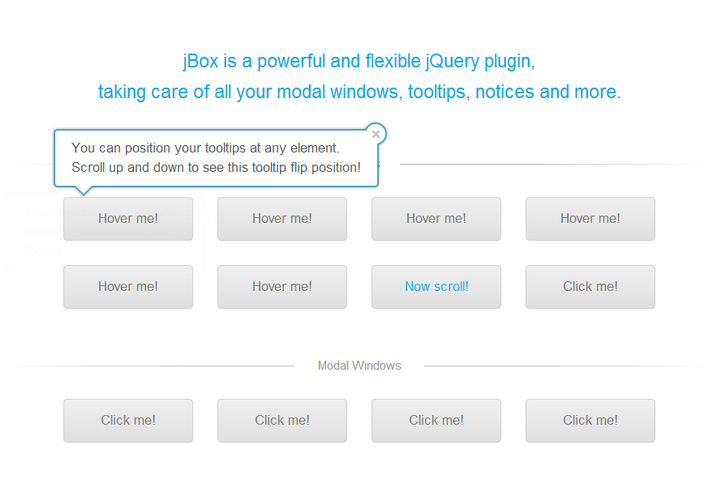 jBox is a powerful and flexible jQuery plugin, taking care of all your modal windows, tooltips, notices and more. You can use jQuery selectors to add tooltips to elements easily. You can set up modal windows the same way as tooltips. But most of times you’d want more variety, like a title or HTML content. The jBox library is quite powerful and offers a vast variety of options to customize appearance and behavior.